This implies such a positive, can-do attitude. While I have never made a quilt, I do understand the commitment, creativity, and passion within each beautiful mosaic of fabric and thread. We have the opportunity to weave a similar mosaic everyday as leaders. I heard it stated once that leaders “leave their footprints in their areas of passion.” This represents an overwhelming commitment to change and organizational growth and development. Such change certainly requires openness to creativity and forward-thinking… thus strengthening the underlying passion. And the cycle continues. These same great qualities are found in entrepreneurial leadership. While the current literature in entrepreneurial leadership devotes much attention to the roles entrepreneurs play in their respective organizations, it is a relatively new field of leadership study. In the article A New Paradigm: Entrepreneurial Leadership, the authors ask whether entrepreneurial leadership is a new style of leadership or an escape from management. Let’s explore this question. I think the difference is further highlighted in five attributes of leadership: risk advocacy, passion, locus of control, responsibility, and vision. Leaders show enthusiasm and zeal for the organization and its mission. This passion comes from within and is not something that can be learned. Uju Onyechere suggests “we are created in such a way that whenever anything fires our soul, impossibilities vanish.” Leaders who excel within their organizations do so in part because they have a passion that manifests itself in excellence and commitment to the vision of the organization. So, what’s the difference between quilts and puzzles? The puzzle is managerial whereby it represents boxed-in thinking; working towards solutions that are pre-defined by a set of rules or parameters. Quilts, on the other hand, are entrepreneurial, creative expressions of leadership; open-ended thinking not limited by a picture of what the solution should look like. 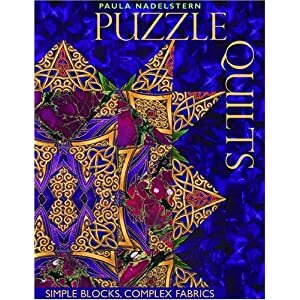 In your teams, do you make quilts or assemble puzzles? Do you limit the creative thinking of those around you or seek creative solutions to organizational problems? I would love to hear your thoughts.